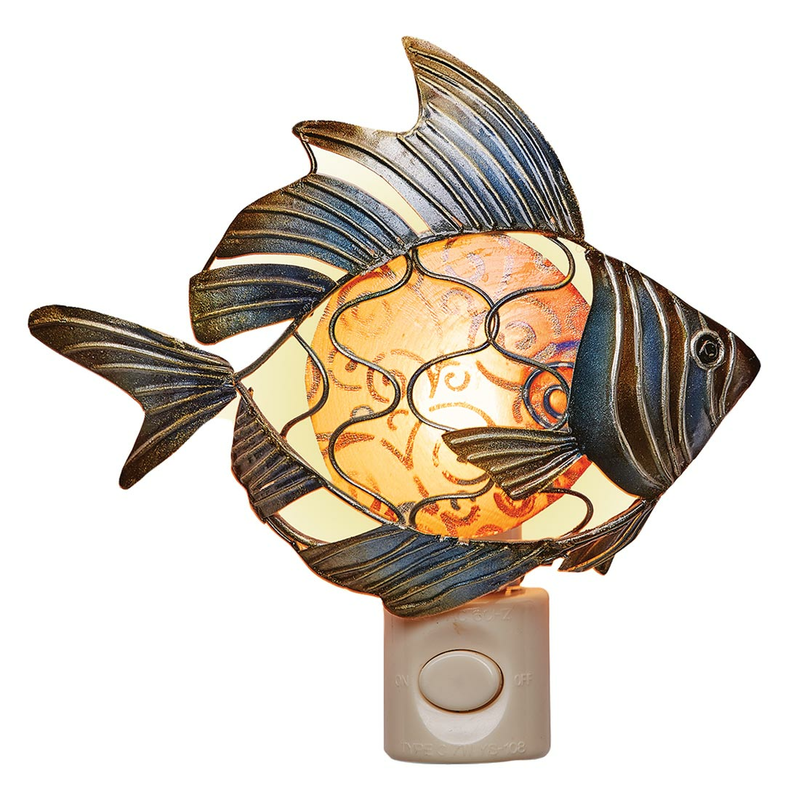 Hand-sculpted and hand-painted metal with capiz shell lens. Standard 4-watt nightlight bulb included. 5 1/2"W x 2"D x 5 1/2"H. Ships from the manufacturer. Allow 1 week. Cannot express ship.